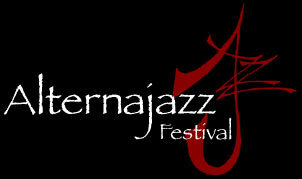 The Alternajazz Festival , a new Los Angeles event, premiered September, 2003. Created to Showcase cutting edge jazz that bends the boundaries, the Festival is a hot spot for emerging young groups as well as established acts that have forged unique styles. This quarterly Festival celebrates the diversity of jazz from straight-ahead to avant garde, Afro-Cuban, Brazilian-fusion, hip-hop flavors, classical themes and beyond . You could call it "Spiked jazz," jazz with a little somethin' else. Each time, three to four bands represent different jazz perspectives.